With the new low-cost devices for Augmented, Mixed and Virtual Reality putting the technologies in the reach of all, the challenge is deciding which technology is best for you and how do you start your journey? Our aim is to get you thinking about the impact that these new technologies can have on your organisation. How using proof of concept for each device type will help to define uses cases and buy-in based on established business processes, whilst leveraging existing CAD and PLM assets. Most importantly, why you should remain device agnostic in an ever evolving digital realm. 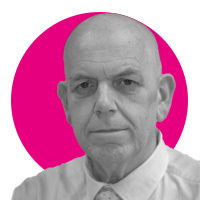 Starting his engineering career working for an automotive supplier in 1970, Trevor progressed from the position of Engineering Apprentice to Assistant Chief Draughtsman responsible for the tooling design of instrumentation circuits, metal pressings and injection moulded components. Joining Computervsion’s software services division in 1985 as an Application Engineer he advanced to the position of Technical Program Manager for the Rolls-Royce Aerospace account. In this position he managed the Rolls-Royce deployment of CADDS5: responsible for development interfaces, application deployment, licenses & consultancy projects. From 1997 – Today, Trevor has worked for Theorem Solutions in a number of technical roles, Technical Consultant, Product Manager & Consultancy & Services Director. He’s represented Theorem Solutions at a number of independent organizations including PDES & ProSTEP for STEP development as well as the ProSTEP JT Implementers Forum & Siemens JT Open Technical Review Board. His current position is Principal Technical Consultant and he works with a number of Theorem’s major automotive and aerospace accounts.